Thank you Shabnam for helping me pass my driving test! It was a great experience and I learnt so much. I previously was taught by a bigger company and felt I wasted a lot of time not progressing, however with Sky I learnt something new each lesson. Shabnam was patient, encouraging and also firm which I really liked. It was very important for her to see me improve every lesson during the lessons. 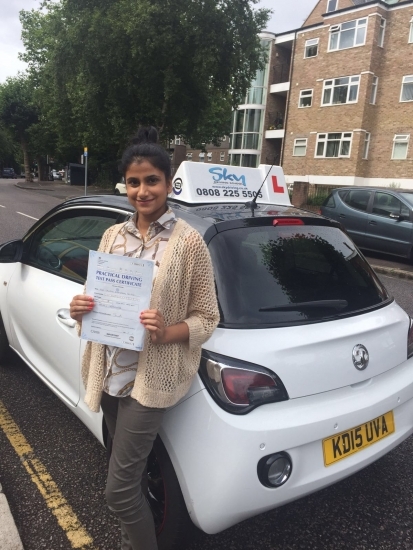 I would recommend Shabnam and Sky driving school 100%! Thanks again!